Welcome to this week’s HR blast from Jaluch. This Blast is on a niche topic and just for larger employers so, if you don’t employ 250+ staff, then click away now! This Blast should prompt various actions (assuming you are not already doing them). Please, please, please don’t sit back thinking that taking steps to bring in change can wait another 6-12 months. Can I ignore this topic? At your peril! Gender pay gap reporting is a legal requirement, but also not taking this issue seriously could leave you at a competitive disadvantage, put off potential job applicants, prompt union involvement, irritate staff representatives, cause a downturn in employee morale and result in a fine. And that is just the short list of what might occur if you simply choose to ignore this new legislative requirement. Gender Pay Reporting Regulations come into effect on 1st May 2016. Affecting all Companies with 250+ staff members (including both employees and workers). Forcing companies to publish information about their gender pay gaps on an annual basis. Estimated that regulations will affect 7,960 employers employing around 11.3m people, representing 34% of the total UK workforce. Section 78 of the Equality Act 2010 permitted the government to force organisations to publish information about the difference in average pay between male and female employees, but this clause wasn’t initially implemented. In 2011, a voluntary scheme was introduced called Think, Act, Report and it was designed to encourage companies to voluntarily publish the information. However in practice only 5 companies actually voluntarily chose to publish details of their gender pay gap. What is gender pay reporting? Gender pay reporting is not about men and women being paid differently for the same job – this is already legislated against through equal pay legislation and has been in place for a long time. Gender pay reporting is asking organisations to disclose their overall average pay (and bonuses) of men and women. This will highlight differences in pay if for instance there are more men in higher paid senior roles whilst women are in lower paid roles. The UK’s gender pay gap has fallen by just a few percentage points since the mid-1970’s and is currently estimated to be 19.2%. With the current rate of change it has been estimated it would take another 47 years to equalise the gap. At the moment, only 41% of employers with 250 employees or more analyse their gender pay gap. It is believed that by making reporting mandatory and publishing the information, it will give organisations a greater focus on analysing the data and making changes, particularly given the level of board interest that the publication of information will create. Why do we have a pay gap? Women tend to work in lower paid sectors. Women are less likely to progress to senior positions e.g. women make up 34% of managers, directors and senior officials and only 18% of FTSE 250 board members. Women tend to take on more of the child care responsibilities and take more career breaks. More women choose to work part-time and fewer work full time; 60.5% of full-time workers are men, 39.5% are women. Women are disproportionately employed in lower paid professions and under-represented in well-paid ones e.g. women make up 94% of secretaries, 95% of child care assistants but only 6% engineers and 14% of architects, town planners and surveyors. Women don’t tend to ask as often as men for promotions, pay increases or initiate negotiations on pay. Women often play it safe (particularly when returning from maternity leave) by opting for a more junior role, rather than push themselves towards a larger role. Is there any benefit to companies in gender pay reporting? The idea of gender pay reporting is to encourage employers to analyse their own data, raise awareness and tackle their own policies and practices which may be contributing to the gap. Research by McKinsey shows that the most gender-diverse companies are 15% more likely to financially outperform the less diverse companies. This research confirms what numerous other studies have found – so there are significant financial and other benefits to be had by making changes. What will I have to do to comply with the reporting regulations? Q. Is your CEO (mentally) ready for this i.e. what it means and any possible repercussions? Q. What might be the repercussions for organisations that choose to bury this data on their website? Upload the information to a government sponsored website. The data must be maintained on the website for three years to show progress is made. Q. What progress will your staff, directors, unions be looking for from you? Analyse gender pay gap figures using both the mean hourly rate as well as the median (as the median would allow a figure which is unaffected by a small number of very high earners). Q. Who is going to undertake this analysis and is the information in a format that is readily analysed? Understand the difference in mean bonus payments between men and women, along with the proportion of men and women who receive a bonus. It’s estimated that the gender bonus gap is 57%, with men receiving mean bonuses of £6,719 whereas women receive only £2,918. Q. How confident are you that your bonus scheme will not be affected if a large pay gap is exposed and, if it is affected, typically how many months or years would it take to bring in an adapted scheme? As an overall figure for the hourly rate enables easy comparison, it doesn’t offer much granularity to explain differences, so employers will also be asked to report on the number of men and women working across salary quartiles. Employers will have to create four quartiles based on their salary ranges and identify the numbers of men and women in each quarter. Q. If this turns into an employee relations exercise once the extent of your gap becomes clear, how will you manage this and to what degree will your staff reps be involved? Employers will have the option to provide additional narrative to include extra details and explain differences. Q. Could you use the narrative to identify what you are doing to resolve the gap? Could it be a narrative jointly agreed with your staff representatives? When will I have to publish this data? What if I don’t have the data? The Government doesn’t believe that this is a significant problem and following surveys has stated that 99% of organisations keep their HR and payroll information on a computerised system. From our experience, though, this is a very simplistic statement. Undoubtedly, most larger organisations do have their HR data on a computer system, but getting the data to produce the produce the reports you want in the manner you want can often be a significant challenge. It is worth taking time now to consider whether you can produce the necessary reports, whether you need to organise some training, or whether you need to draft in some external support. Will there be any support? The Government have promised a package of guidance and support to ensure employers are familiar with the regulations and metrics. We haven’t seen them yet, but the regulations are currently still in draft format, due to come into force in October 2016 – so it’s likely we will see some guidance published around that time. What if my data shows a very significant, inexplicable gap? There is no doubt that the negative publicity and employment relations risks could be very significant if the gender pay reporting shows a very significant, inexplicable gap. As you still have some time before you need to publish your gender pay gap, it would be prudent to investigate your current position and proactively take action to improve any gaps and reduce your legal and commercial risks. Damage to the business reputation and negative publicity. 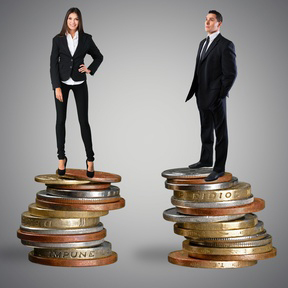 Risks of equal pay claims, which could potentially go back up to six years. Sensitive financial data being disclosed. Adverse impacts on recruitment, engagement of employees and retention. What can I proactively do to improve my gender pay gap? If you would like our suggestions on how to improve your gender pay gap, email us and we’ll send them over. Just write ‘gender pay gap’ in the title. Can I choose NOT to publish data? The fine for non-compliance is expected to be £5,000. There are no civil penalties at the moment although the cost of adverse publicity can be huge depending on what sector you operate in. Non-compliance is not an option unless you have directors who understand and accept the financial and PR penalties. Be under no illusions that unions and staff representative committees will be watching to see which organisations fail to publish data as required on website. Jaluch provides a package of materials and support for organisations wanting to assess and address a gender pay gap. From data analysis, staff surveys, gender pay gap audits, education for staff representatives, communications for staff and website etc. We are also able to offer our compensation and benefits partner Reward, a full rewards audit and recommendations. Jaluch supports around 350 organisations in the UK, often in order to provide extra resource to existing HR teams. No doubt additional questions will need to be asked such as how you calculate the 250 staff figure, is everyone clear on what the difference is between ‘worker’ and ‘employee’ and if different locations need to be counted together or separately; what an organisation should do if its staffing fluctuates enormously across each year; what actions to take if previous diversity training or initiatives to break biases have not been successful; and when, if at all, to involve unions or staff reps in this process. If you have questions, we are happy to help. Contact us. Addressing a pay gap will not take just a few months. It will take years. Be under no illusions about the scale of learning, assessment, rethinking and then subsequent actions that will be required to begin to address pay gap issues. If you think – or know – that your initial reporting will highlight a significant pay gap that will cause a degree of embarrassment either internally or externally, then you need to act now. If you act now you will have 12 months to begin to take steps before the first data analysis in April 2017. If you delay and delay until after you have taken your first data snapshot in April 2017 then you will have put yourself in the unenviable position of having to find a way to manipulate your data in such a way that it does not adversely impact your business or employee relations. In other words: if you leave it too late, you will end up on the back foot and your competitors will be smiling!